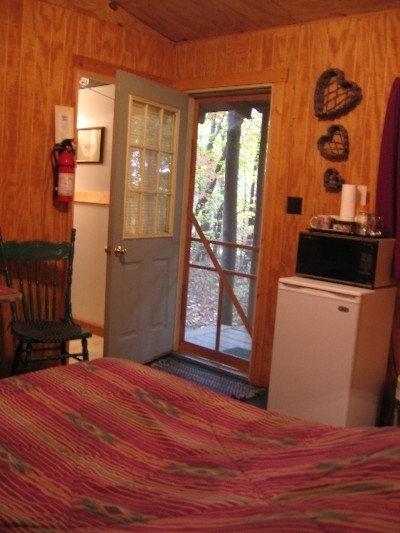 We offer one-room cabins for you privacy and enjoyment. 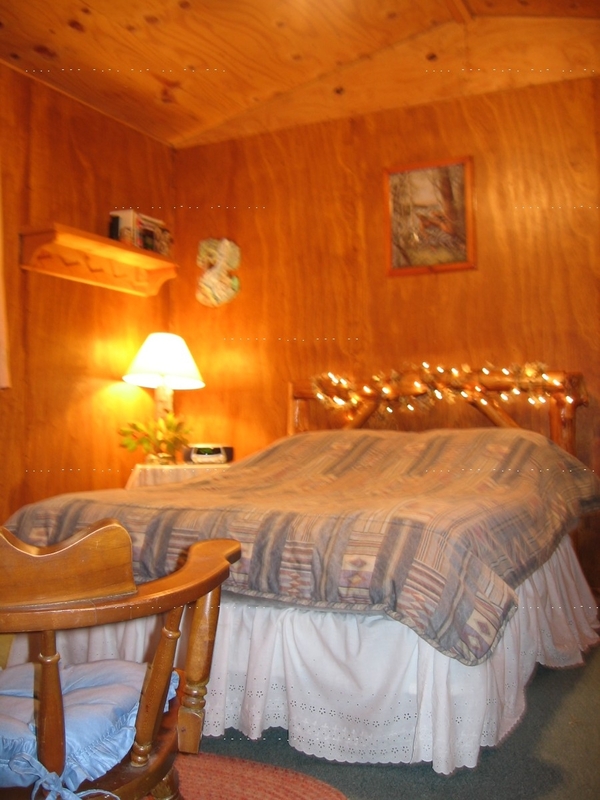 Each cabin is tastefully decorated for you comfort and relaxation. Our philosophy is to walk in balance with nature, to live in simplicity, and to learn the lessons of the earth as life unfolds before us each day.All cabins have full baths, small refrigerator and microwave. 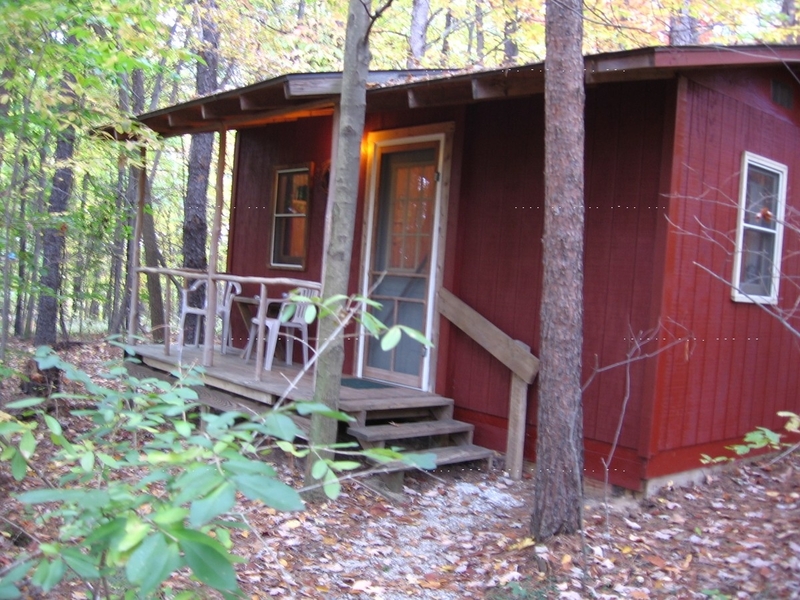 One cabin has a hot tub, another a whirlpool, both on private covered decks. Breakfast is served each morning in the main house with a variety of healthy foods, fruits, coffee and herbal teas. You'll find a communal fire pit with picnic table for cooking, evening socializing, marshmallow roasting and star gazing. Birds Nest cabin sleeps 2 and has a full bathroom. 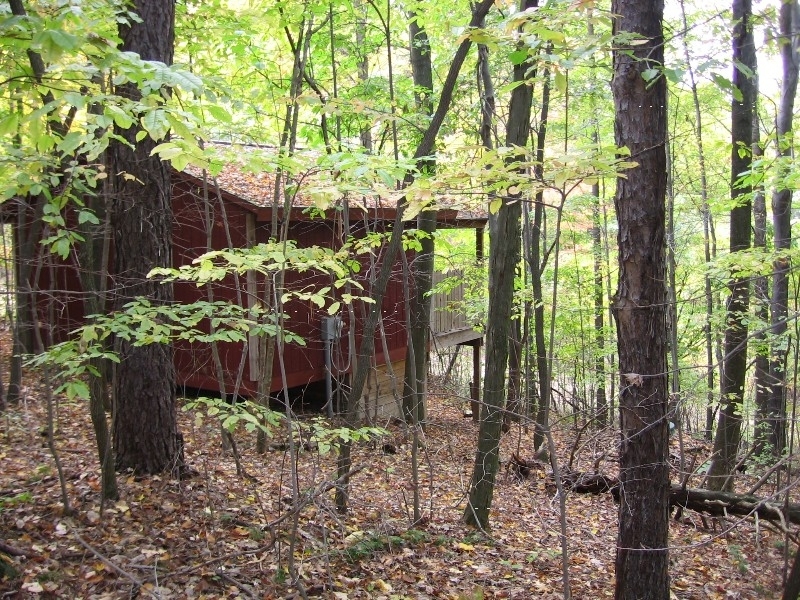 Wolf Den cabin sleeps 2 and has a full bathroom. Private deck with whirlpool tub. 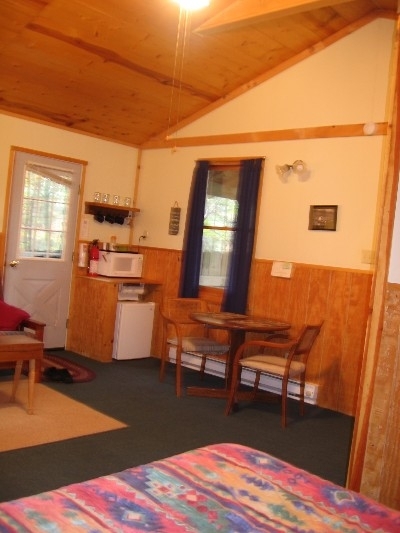 The Otter Lodge is a larger one room cabin that sleeps 2 to 4 persons. It has a full bath. A hot tub sits on the private deck which has a great scenic view. One Room Cabin with full bed, private bathroom area, small refridgerator microwave, small table with chairs. Covered front porch for nature observation. 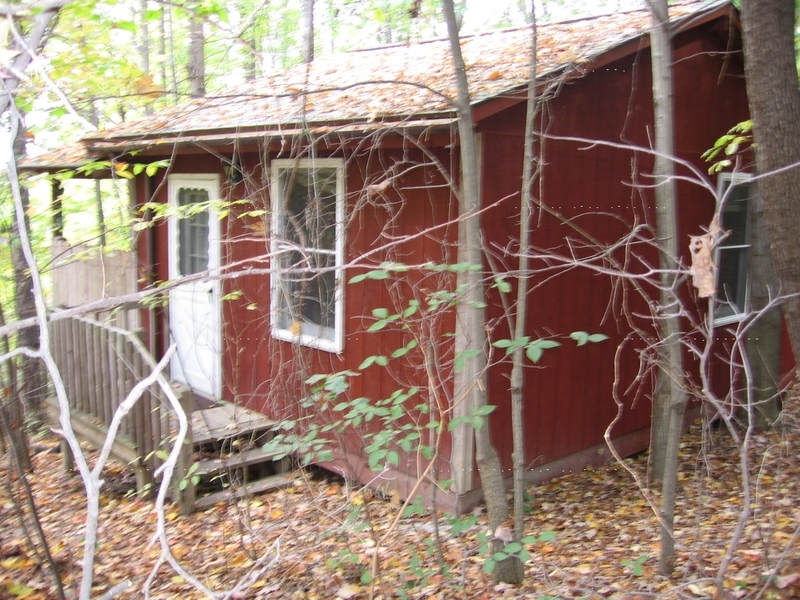 One Room Cabin with private bathroom area. 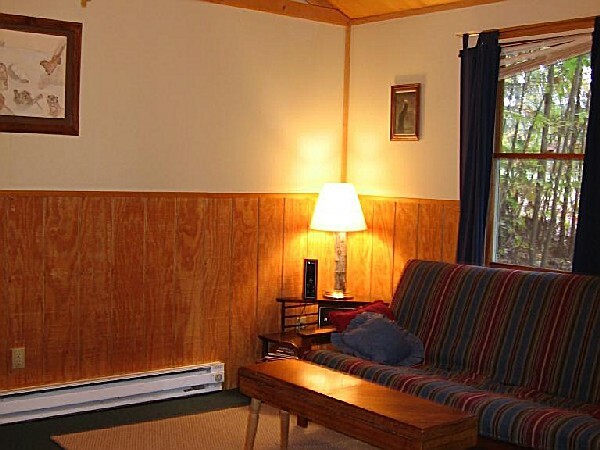 Full bed, small refridgerator microwave, small dining table with chairs. 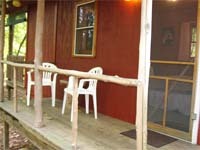 Covered back deck with whirlpool tub for relaxing therapeutic water therapy. Whirlpool closed in Winter, $10 off. One Room Cabin with full bed, private bathroom area and small living area with futon. Small fridge, microwave, table chairs complete the inside, with a two-person hot tub on a private deck with a gorgeous view of the Clear Creek Valley. Year-round. 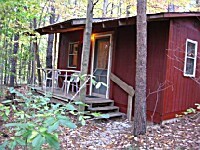 My boyfriend stayed at Thunder Ridge for Valentines weekend. A winter storm came that friday night and after hours of attempting to make it up the hill in our truck, the owner and his son drove down to pick us up. Hands down best hospitality. Clean cabins, amazing home cooked breakfast. We will definitely return again!